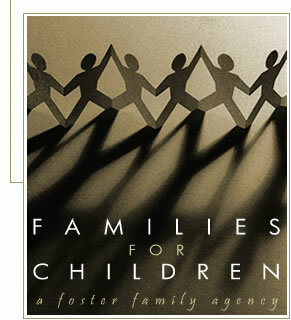 Families For Children :: Foster Care, Adoption, Parent Training, Counseling & more. Families For Children (FFC) is a non-profit family service agency. Saving lives is our goal. Families For Children offers a complete program of recruitment, training, and post foster care and adoption support services. Our goal is to make sure that every child we provide for has a quality character building experience where hope is restored. We invite you to learn more about what we do and discover what you can do to be a part of the solution. Copyright © 2012 Families For Children. All rights reserved.